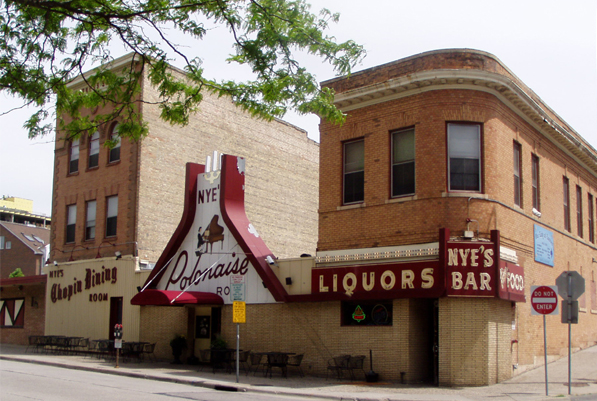 One of Northeast Minneapolis’s most notable restaurants, Nye’s Polonaise Room, will close its doors in early spring after 67 years of service. Nye’s has given people around the area a chance to sit back, enjoy a Classic Martini and listen to the World’s Most Dangerous Polka Band. If you haven’t already had the pleasure of experiencing Nye’s, April 3rd is the last day to do it. Fortunately, the date to demolish Nye’s was pushed forward from the original date because of people that were in support of Nye’s survival and the Heritage Preservation Commission. Nye’s was scheduled to close Summer 2015 and to be replaced by an apartment complex. Not only has Nye’s been a staple in the “Nordeast” neighborhood, but it also has gained national attention. Being named “10 Places You Won’t Forget” by USA Today, “Best Bar in America” & “Top Ten Bars You Must Experience Before You Die” By Esquire Magazine, Nye’s certainly has made a name for itself that people won’t forget. TV shows such as Diners Drive-Ins and Dives or Best Bars in America has featured Nye’s in their quests to find the best food or just best bar all around in the Minneapolis area. Offering Polish food, Nye’s sets itself apart from the other restaurants on its block since 1950; although this space has been there since the 1880s under the previous name, Hefron’s. So, if you are looking to host a memorable event, enjoy some polka music on a Friday or Saturday night or just impress an out-of-town friend, Nye’s is the perfect spot to do it before it closes its doors forever.